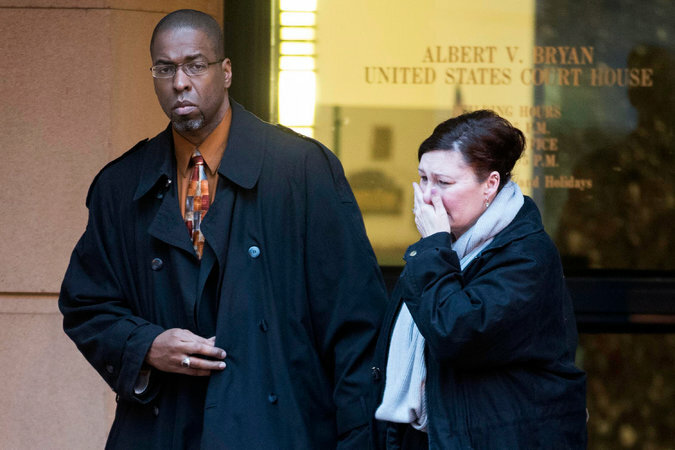 The St. Louis Post-Dispatch reports that the wife of Jeffrey Sterling - imprisoned for leaking classified information - is calling on Barack Obama for a presidential pardon. For color, she asserts that there is a "double standard" seeing how former General David Petraeus and presidential candidate Hillary Clinton are walking around freely. The closing move? She says her husband was targeted by prosecutors because of his race. Sterling is serving a 42-month prison sentence for "espionage and obstruction of justice for disclosing a covert operation involving a former Russian scientist and CIA informant who gave Iran fake information to help thwart that country's nuclear weapons program." The operation ("Merlin") was disclosed in James Risen's 2006 book, State of War, but Risen refused to disclose his sources. "For his own vindictive purposes, Jeffrey Sterling carelessly disclosed extremely valuable, highly classified information that he had taken an oath to keep secret ... His attempt to leverage national security information for his own malicious reasons brought him to this sentence." A White House "official" also adds that "there are established procedures that whistleblowers can employ that also ensure protection of national security interests." Jesselyn Radack, a former Justice Department official says "The Obama administration has presided over the most draconian crackdown on national security and intelligence whistleblowers in U.S. history," She also says the DOJ uses antiquated anti-espionage laws to " bludgeon to threaten, coerce, silence, and imprison whistleblowers" while the "powerful and politically connected individuals accused of the same and much worse conduct receive at most a slap on the wrist." [the Obama administration has] "no problem licensing unto itself the authority to leak to the press ... highly classified sources and methods for political purposes, and to present themselves in the best possible light. And yet, if you go to an (intelligence) committee that provides oversight on the secret side of the government but if you dare go to the press or have any contact with the press at all, under any circumstances, then you will be charged with espionage."